Very few realize that the remains of a 19th century settlement, established by former slaves, still remains a mile or two south of downtown Jacksonville. Dr. Tim Gilmore of jaxpsychogeo.com highlights the story of the Southside's Philips community. All these churches left their cemeteries behind. The wall of the highway that surges above stands over and against this cemetery the way the Berlin Wall blocked anyone from entering the old Church of the Reconciliation. Unlike the two sides of Berlin before 1986, however, here no hope of reconciliation can exist. 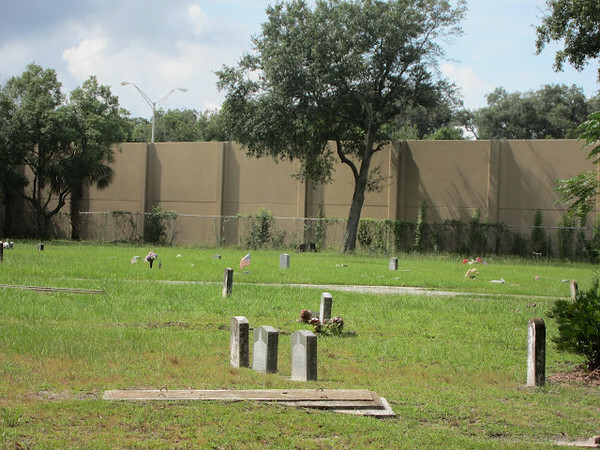 The interstate that walls in and rises against Jerusalem Baptist Cemetery stands where the church that started this cemetery in 1872 once stood. The extension of Interstate-95 that forever cements over the site of the original Jerusalem Missionary Baptist Church eternally disconnected several communities that freed slaves founded after the Civil War. It disconnected them in order to connect far-flung suburban white neighborhoods. Chelsea and Jacob didn’t know what they were looking for. Not really. They had signed up for this class at the community college because its course description said something about exploring the city’s places of mystery. They hadn’t really known the city had any places of mystery. Sure, they knew about School Number Four. Every teenager for the past three decades knew about School Number Four, and a lot of them had wandered its dilapidated hallways or its underground tunnels leading to the boiler room. But that was only one place of mystery. Places? Plural? A flyer for the class had said something about a crypt for an African princess in the oldest city cemetery and houses built into the sand dunes at the beach. Now they found themselves working together on a senseless assignment. Students were supposed to team up on scavenger hunts in which they had to find and write about such things as the statue that glowed red in the 1901 fire or the ancient Greek temple by the housing projects. No one was told where these places where exactly. They had to do a little research, beginning with a little googling, and then they had to find their way around the city, often not even knowing exactly what they were looking for. Chelsea and Jacob drew from a lottery and found they had to find “the Eye of the Needle in Jerusalem.” What the hell did that mean? They approached the professor after class and asked him, but he only smiled at them and tugged at his beard. Sitting outside the classroom one morning, half a dozen students talked about their scavenger hunt assignments. When Chelsea mentioned theirs, a student named Kate told her that Jesus had said something about the eye of a needle. It was harder for rich man to get into heaven, Jesus had said, than for a camel to fit through the eye of needle. When Jacob googled this strange aphorism, or whatever it was, he found that a number of wealthy Christians had claimed that the Eye of the Needle was a gateway in Jerusalem that camels had to kneel to make their way through. Apparently historians and archaeologists, however, had never found any evidence for such a gate. So Chelsea googled “eye of the needle” and “Jacksonville,” thinking she might find some hint at what they were supposed to do with their assignment. Nothing. 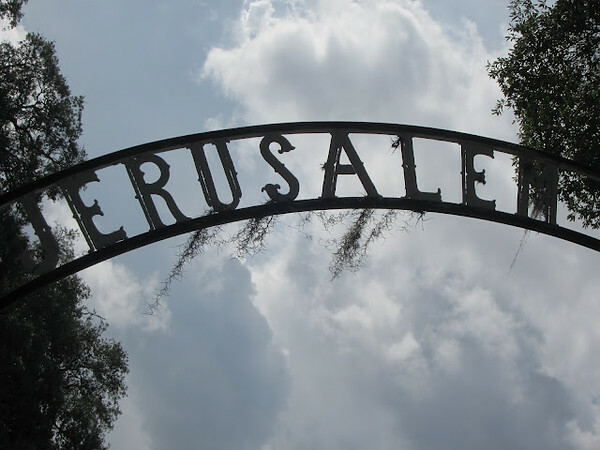 So she googled “Jerusalem” and “Jacksonville,” and she found four and a half million results, everything from the distance from Jacksonville to Jerusalem to various local Jewish organizations. She also found something called Jerusalem Missionary Baptist Church. The next morning, a Friday, Chelsea and Jacob climbed with purpose into her little Nissan pickup truck. They were sleepy and stinky. Both of them had tall curly hair. Both of them had once been a little too skinny, but were now a little overweight, only because their limited funds led them to often to fast food joints. 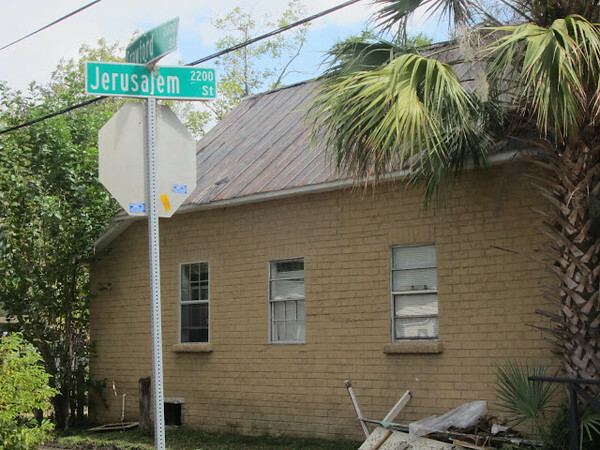 They drove toward the St. Augustine Road address of Jerusalem Missionary Baptist Church, not knowing if they were on the right track at all, but feeling a bit like private investigators on a very important case. After the Civil War, small rural communities of freed slaves formed instantaneously all over the bloodied landscapes of the South. Though most slaves had only moved away from remnants of African indigenous religions and toward Christianity 30 or 40 years previously, new communities that surrounded just-exited plantations bore names like Mount Zion, Mount Pisgah, Shiloh, and Jerusalem. The exodus of the Biblical Israelites from their slavery in ancient Egypt became the nearest, dearest metaphor for the emancipation of slaves after Lincoln. The miniscule community of Jerusalem planted itself two miles from the plantation its former slaves and supporting freedmen left behind. 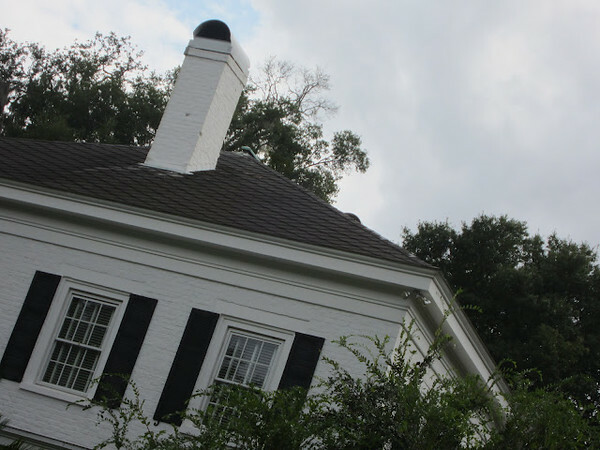 Two miles from the plantation was nothing in a time when the Red Bank Plantation once covered 450 acres. Frederick Douglass’s mother, whom he later said he could hardly remember, walked 12 miles every night from her Maryland plantation to lie down with her little boy in his own slave cabin and get him to sleep, then walked 12 miles back only to sleep for a few hours before waking up before dawn to work in her master’s fields. God, who was she? Who were all these millions of mothers and fathers? At the end of the Civil War, Albert Gallatin Philips, owner of Red Bank Plantation, filed petition against the United States government for his losses. He sued for the financial loss of 38 slaves, something like half the value of the total number of slaves who were whipped to do his work for him.